Animal Crossing Pocket Camp is the brand new game from Nintendo. This is one amazing game that can get you addicted within no time. 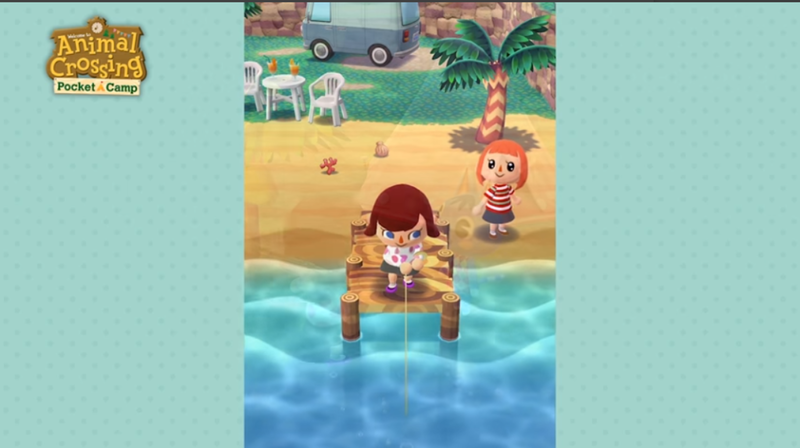 Animal Crossing Pocket Camp’s concept is exactly as its name suggests. Players have to go camping in remote areas in the game. Players will make lots of friends to camp together. There will be animals looking for your help in the game. You will craft items to decorate your camp. The camps in the game are your remote houses. The more you decorate your camps, the more animals you will attract and the faster you will progress in the game. Animal Crossing Pocket Camp is not a simple game. The game is huge and it requires an understanding of every single aspect in order to be played better. The game encompasses countless quests and involves a huge number of items, collectibles that will be used for taking out different tasks in the game. For a beginner, it’s a little bit difficult to carry along with the missions. A basic guide is what all the beginners need to take a better start with the Animal Crossing Pocket Camp. A Redditor published a beginner’s guide and we have tried to put the guide here for all the Animal Crossing Pocket Camp lovers. Here is the list of Animal Crossing Pocket Camp Tips & Tricks for the beginners. 1.1 Do not stop questing in the game, keep going on! 1.4 Build a tent as soon as you unlock it! 1.5 Get the Crafting Spaces and keep crafting! Do not stop questing in the game, keep going on! You get to complete quests in the game. Quests reset every 3 hours. According to the Australian EDT, Quests reset at times like 2 AM, 5 AM, 8 AM, 11 AM, 2 PM, 5 PM, 8 PM and 11 PM. With every new quest, 4 random villagers will appear. 1 each villager per Island. Each villager holds 3 quests. That means the 4 villagers have 12 quests every 3 hours for you. To start each quest, the villager will show the “Talk to me dialogue” box. Since quests are the basic idea of this game, you have to tap the tickers to interact with the villagers and start completing the quests. Quests will help you to unlock new features and also level up in the game. Your aim should be to complete the quests before the reset. This means you have to complete all the quests before they become 3 hours old and quests reset. The villagers on your campsite will also give you quests. The idea of success in this game is to make a lot of friends. Do not hold back from making new friends in the game. Here’s what you have to do. You have to get into Shovelstrike Quarry for at least one time in a day. It usually costs 20 Leaf Tickets, but with the help of friends, you can enter for free. For this purpose, you need 5 friends. You will request 5 of your friends to push you for the free entry in the Shovelstrike Quarry. Similarly, you will also help your friends to enter the Shovelstrike Quarry. For helping your friends, you will get 100 bells in your inventory. You can also trade stuff with your friends. You can buy and sell items to boost your inventory. Say Hello to your friends every day to complete daily goals. The maximum number of friends you can make in this game is 100. You are going to find a lot of trees full of fruits around yourself. Here’s what to do with these trees and the fruits. Once you grab the fruits from the trees, it takes 3 hours for the trees to yield new fruits. Make sure that you collect all the fruits every 3 hours so that you have enough of them in your inventory. On Breezy Hollow, you will find non-coconut fruit trees e.g. Cherry, Apple, Orange & Peach. Lost Lure has 2 each non-coconut fruit trees e.g. Cherry, Orange, Apple, & Peach and some others. The fruits offered by Lost Lure are considered good. Saltwater Shore has coconut trees only. Sunburst Island has coconut trees only as well. Build a tent as soon as you unlock it! Building camps is another task in the game. Building a camp will not only add beauty to your campsite, it will also attract others towards it. Here’s how the camps work in this game. Building a single tent will take 12 hours. You can only build 1 tent at a time. The tent should be built earlier as it boosts your friendship level. You will find other campers hitting level 7 or more which will make you regret your decision of not building the tent earlier. So, do not waste time and get on with the camp building. Upgrading your tent to level 2 will not take a long time, but upgrading it to level 3 will talk 12 hours or more. Rather than upgrading your tent to level 3, try building 2 tents of level 2. The idea is to build as many level 2 tents as you can. Build on more resource rather then having a few powerful resources. Get the Crafting Spaces and keep crafting! In the game, you will be hiring animals to do some crafting for you. Here’s how this whole thing works. In the start, the items will take a few minutes to be crafted. The initial setup is only to give the campers an idea of this game. After a while, the items will be taking hours to be crafted. You need 80 leafs for one crafting space. The best use of the your Leaf Tickets is to invest them on the crafting space. Try not to waste your Leaf Tickets on other useless stuff. Don’t forget to have a look on the wishlist of the villagers that you plan to invite over your camp. There are going to be many items which will take a longer time to craft. You have to put these items for crafting before you sleep. In this part of your game, you have to trap the villagers with maximum level of friendship on your camp before a quest resets. This will not let them waste your quest experience. Otherwise, if a village is already at the maximum level of friendship, completing the quests on their camps will not result in uprising your gain. As mentioned earlier, entering the Shovelstrike Quarry requires you to spend 20 leaf tickets. If you use the help of your friends, you can enter in the Shovelstrike Quarry for free. This part of the game is essential for earning extra rewards in the game. The rewards in Shovelstrike Quarry change every 3 hours. Get the help of 5 of your friends and give it a visit every day for free. The reset time of Shovelstrike Quarry rewards is 5 PM Australian EDT. Apparel items appear randomly in the stores. It totally depends on the users what kind of clothing they are going to see in the stores. The rest time for clothing is 5 AM, 11 AM, 5 PM, 11 PM Australian EDT. There are many non-fruit trees on the islands. Shake the non-fruit trees and they will give you bells instead. Bells are an important feature of the game. You will be using Bells to carry out many tasks in the game. Collect as many bells are you can. Shaking non-fruit trees is probably the best method to collect bells. All the animals in the game hand out a crafting material when you help them. there are a few animals which will be giving you absolutely nothing (talking about the crafting items). This way, the animals that give out the material that you are looking for, will be pushed to a location where you can complete their 3 requests. Usually, you can complete only 1 request of the animals which means you will get only 1 material. If you have the Amenity ceremony coming up, you can invite the animals with the material you want, this will let them drop you the material giving the animals +5 boost to level up. That’s all for now. We will be updating this list as soon as we get more tricks. For now, enjoy camping in Animal Crossing Pocket Camp!